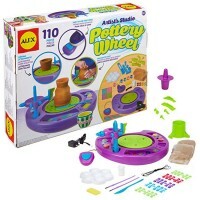 Pottery Wheel & Splash Art Studio 2-in-1 Machine by Small World Toys is a delightful combination of kids pottery wheel and spin art machine in one exciting creative craft kit. 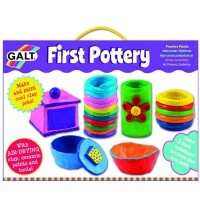 Let's open a pottery studio and create amazing pottery pieces right in the comfort of your home! 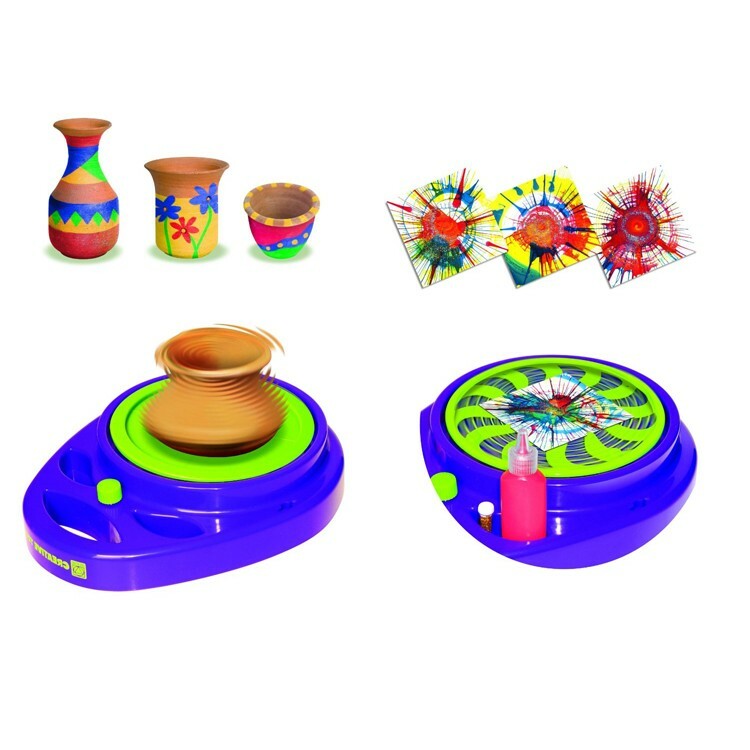 Pottery Wheel & Splash Art Studio 2-in-1 Machine by Small World Toys is a delightful combination of kids pottery wheel and spin art machine in one exciting creative craft kit. 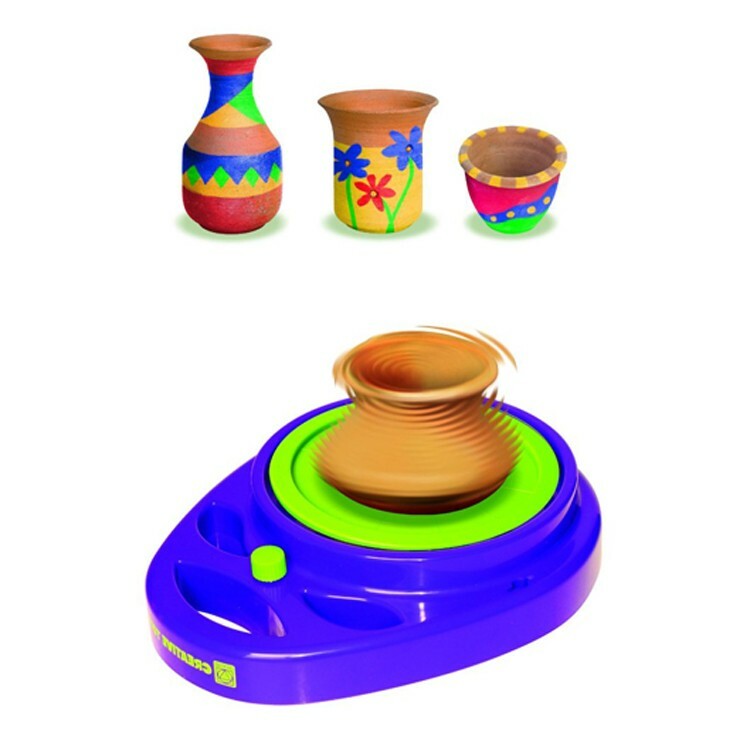 This unique craft machine features a tray quickly changing from pottery wheel to splash art machine, so you can go from working with clay to paints! 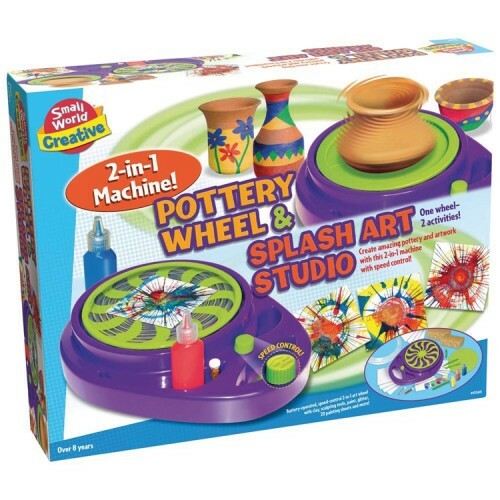 Pottery Wheel & Splash Art Studio 2-in-1 Machine includes a battery-operated revolving machine, 2 trays, splatter guard, 2 lbs. 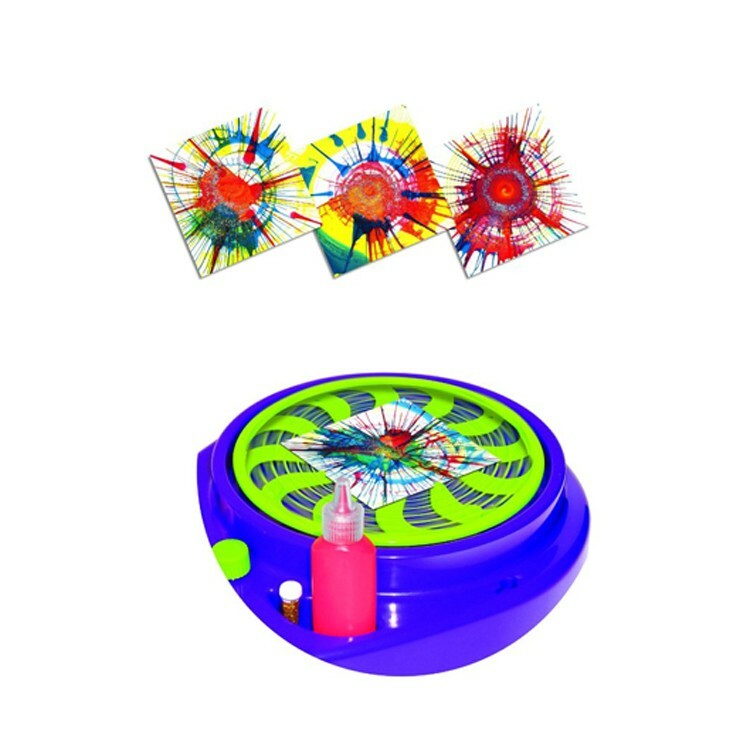 of clay, 3 bottles of paint, 4 paint pots, 2 sculpting tools, 2 mini bottles of glitter, paintbrush and 20 assorted sized papers to paint. 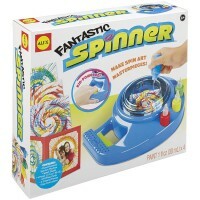 The craft spin machine has on/off switch and speed control. 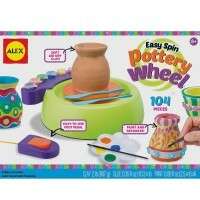 Educational Toys Planet's pottery wheel and spin art machine from this clay and paint craft kit measures 8.75 x 10.5 x 2.5 inches. 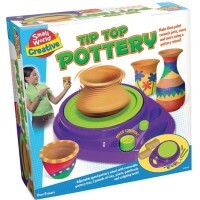 Spin the pottery wheel, splash paint colors, and sprinkle your creations with your own creativity - the endless craft fun is guaranteed! 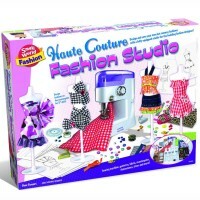 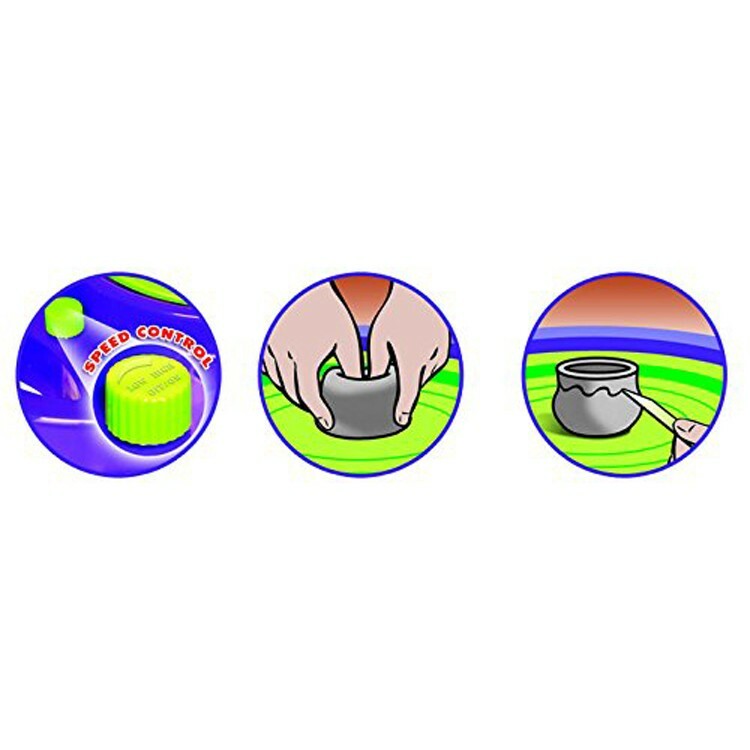 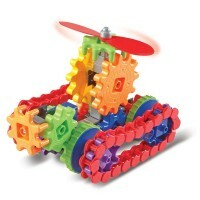 Dimensions of package 19.06" x 15.04" x 3.9"
Write your own review of Pottery Wheel & Splash Art Studio 2-in-1 Machine.